Looking for an affordable family home with a HUGE BACK YARD? 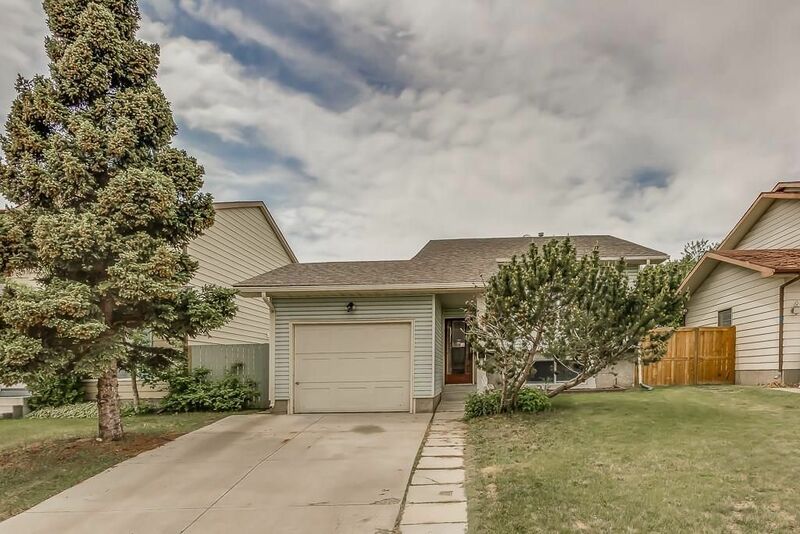 This 3 bedroom, 2 bathroom property is fully updated throughout & features an attached garage, NEST thermostat, newer shingles & fence, 2006 furnace & upgraded attic insulation. The main floor offers laminate flooring, fresh paint, a new crisp white kitchen with Quartz counters, tiled back splash & black appliances. There is a separate dining area off the kitchen, great layout for entertaining. Two generous bedrooms up and a full bathroom. Easy side door access off the kitchen to back yard & garage, good access for a possible basement suite. The lower level features an over sized recreation room, new carpet, 3rd Bedroom, 3 piece bathroom, laundry & storage. This property shows 10/10 and is move-in ready with quick possession possible! Quiet location close to day-cares, park with play structure, all levels of schools, public transit, LRT, shopping and down town.